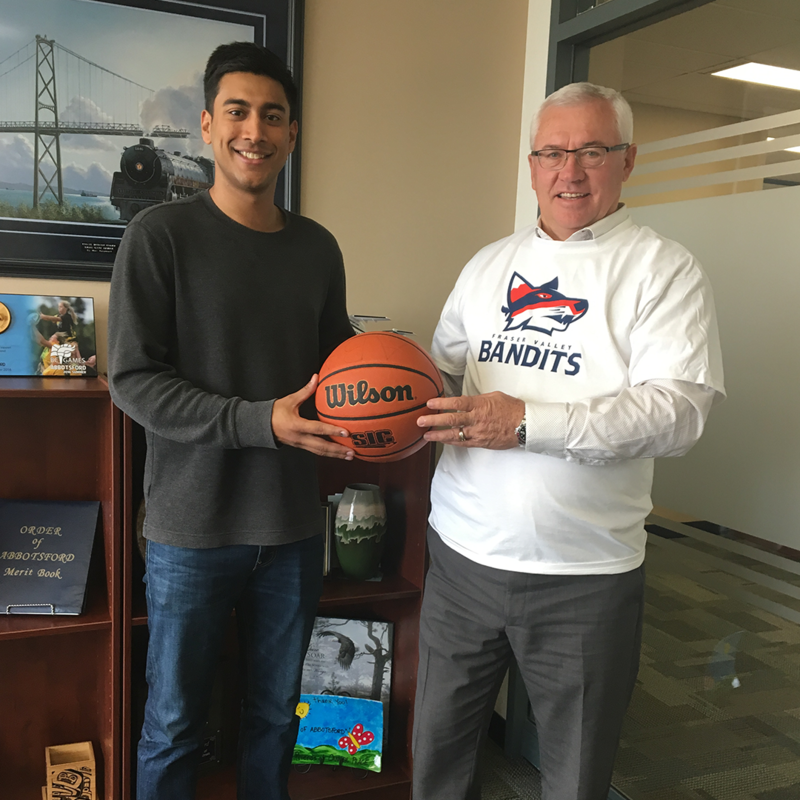 Fraser Valley – FVN’s Don Lehn spoke with the Director of Business Development for the upstart Fraser Valley Bandits of the new CEBL – Canadian Elite Basketball League. This new 6 team professional league had its genesis in 2016/2017. In 2018 the teams were announced and the building blocks for the league were starting to be put in place. The CEBL is expected to hit the court in 2019 with the Bandits playing out of the 7000 seat Abbotsford Centre. The league will have a Canadian quota similar to the CFL , somewhere at 60 – 70% Canadian players on the roster. A salary cap is expected but those numbers will be ironed out in the coming months. The league will use international FIBA rules. Part of the concern about any new league is financial stabiliy and responsibility and this was addressed in the interview. The Bandits are starting to aquire corporate sponsorship and interest, especially at the grass roots level. That includes working with two local institutions that have basketball programs – UFV and Columbia Bible College. The league did NOT put teams in Toronto (where the NBA Raptors live) nor Montreal, Ottawa, Halifax and Vancouver. Thus a Fraser Valley team was established for the West Coast. Kular feels any animosity with the now long gone NBA Vancouver Grizzlies, has vanished. Be the first to comment on "Interview With Dylan Kular, Fraser Valley Bandits Director Of Business Operations (VIDEO/AUDIO)"